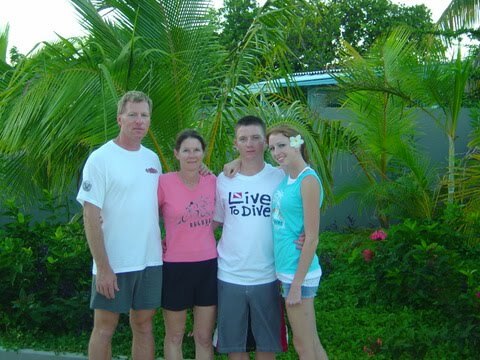 Pam's favorite activity is scuba diving. 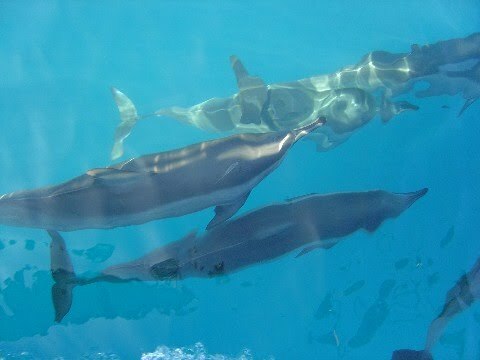 Like a mermaid she needs very little air under water and can stay down for long periods of time. 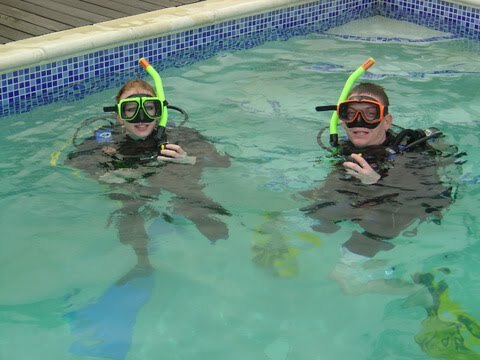 Shaylie & Daniel in the pool taking scuba lessons. 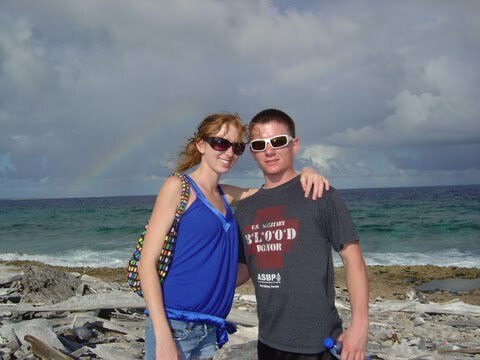 Daniel & Shaylie in Bonaire, on the windward side... with rainbow! 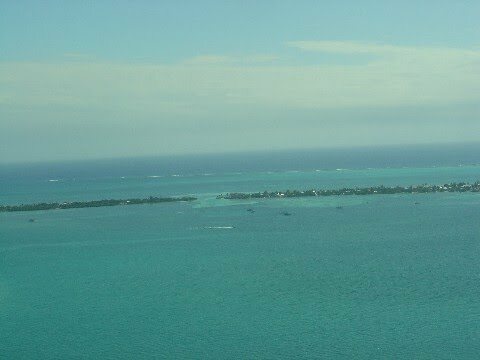 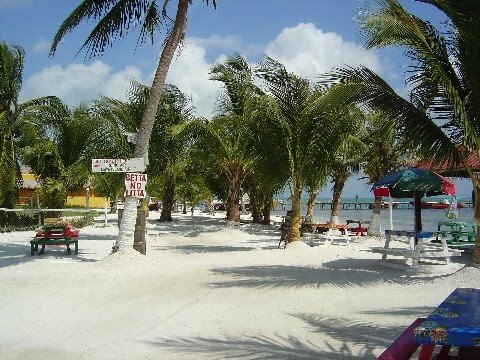 Caye Culker Belize "Betta No Litta"